MullenLowe Singapore picked up 8 Spikes Friday, including the PR Grand Prix for Lifebuoy. All told the agency won awards for 4 brands across 6 different categories. 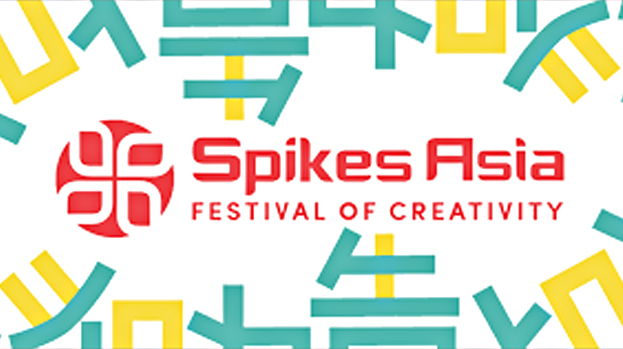 In total, Singapore agencies combined for a total of 43 Spikes at this year’s event. MullenLowe’s Chamki, the Girl from the Future for Lifebuoy Soap was Singapore’s lone Grand Prix. The campaign centers around an emotional social experiment featuring Chamki, a young Indian girl who appears in a video from the future to ask her pregnant mother to use Lifebuoy Soap as protection against the life-threatening diseases responsible for over 6 million under-5-year old deaths globally. To date, the campaign has reached over 890 million people, and helped influence a vote on sustainable development goals at the UN general assembly. Chamki also won a Silver in the Healthcare category, and earlier in the year a D&AD Pencil, a Grand Prix, two golds, three silvers and two bronzes at the Tambuli Asia-Pacific effectiveness awards along with two silvers at the Asian Marketing Effectiveness & Strategy conference. The campaign was created with MullenLowe Lintas Group India and MullenLowe SSP3, Colombia. Spikes is one of the most exciting and desired awards out there. Where the work is judged and celebrated by peers from the best agencies across Asia in a multitude of categories. So it is indeed a privilege to have won this year. It is a testament of the great (amazing) group we have at MullenLowe. in other words: we are very (very) happy. Said Erick Rosa, Executive Creative Director MullenLowe Singapore. MullenLowe Singapore also won a Silver and Bronze in Radio for Clear Shampoo, 3 Bronze across Print and Print Craft for Breeze, and a Bronze in Media for PETA. MullenLowe Singapore is part of MullenLowe Group, a creatively driven integrated marketing communications network with a strong entrepreneurial heritage and challenger mentality. We are a global creative boutique of distinctive diverse agencies, rich in local culture with both intimacy and scale, present in more than 65 markets with over 90 agencies. With an integrated, hyperbundled operating model global specialisms include expertise in brand strategy, creative content development, performance analytics, and through the line advertising with MullenLowe, full service, integrated digital marketing with MullenLowe Profero, media and communications planning and buying with MullenLowe Mediahub, and strategic activation and shopper marketing with MullenLowe Open. We are consistently ranked among the most awarded creative and effective agency networks in the world, and have topped the Effie Index as the most effective global network in terms of points per dollar revenue for the past 5 consecutive years.